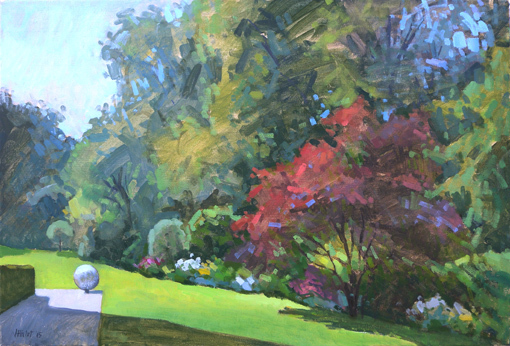 For my last post before Christmas I wanted to share a commission of four paintings I did earlier this year for a lady in Uccle (Brussels), Belgium. 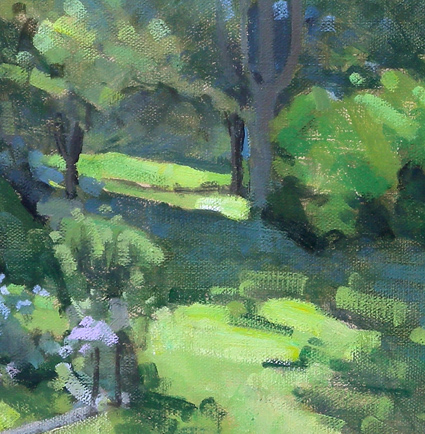 The property was outstanding and I tried to capture the beauty of the house and surrounding gardens. 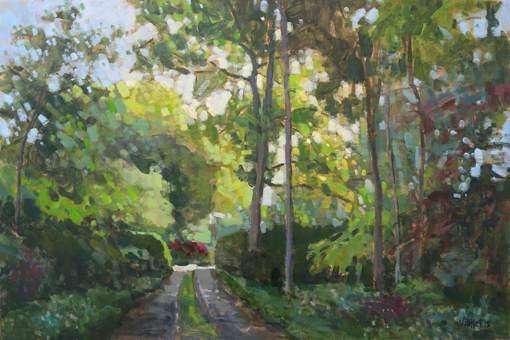 I worked on larger formats that I'm used to (40cm/60cm) but I really enjoyed the process and the client was very happy with the result which is always a relief! 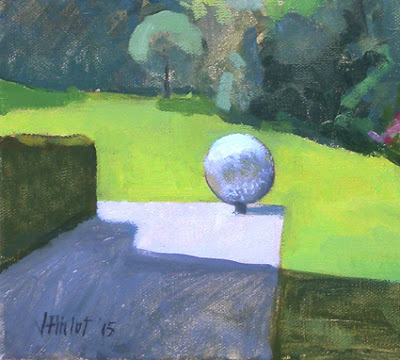 The painting below is a side of the garden and features the beautiful globe metallic sculpture. 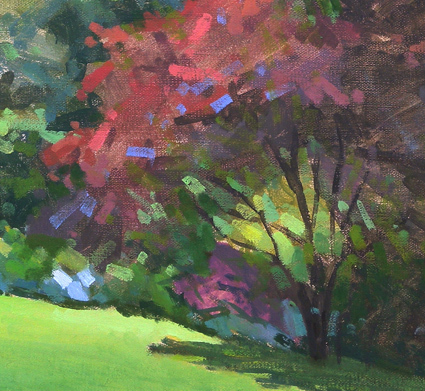 The star of the show was the tree with the beautiful red foliage. 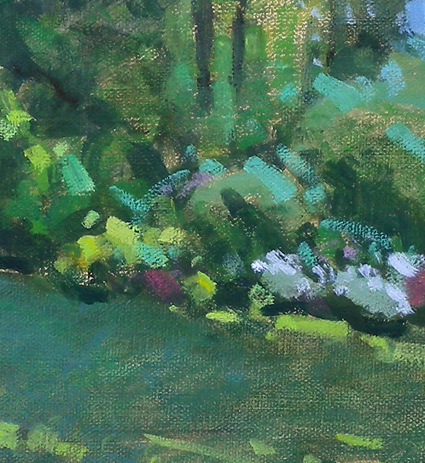 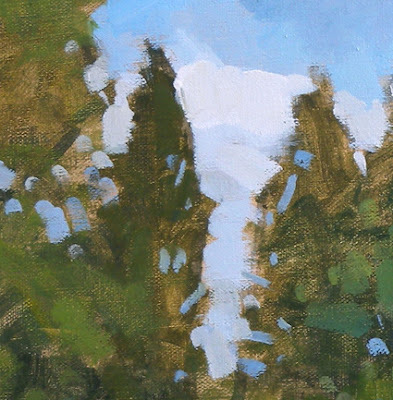 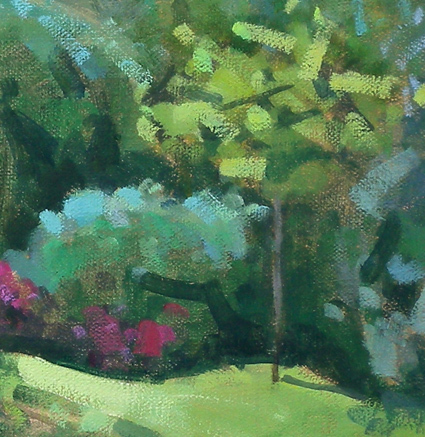 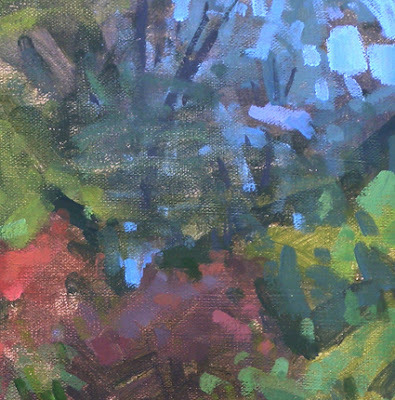 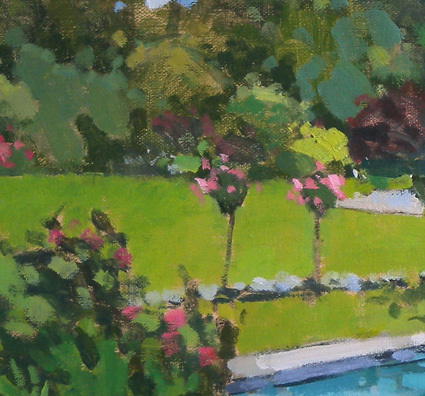 I enjoyed suggesting the back of the garden with looser and cooler brushstrokes to give a sense of distance. 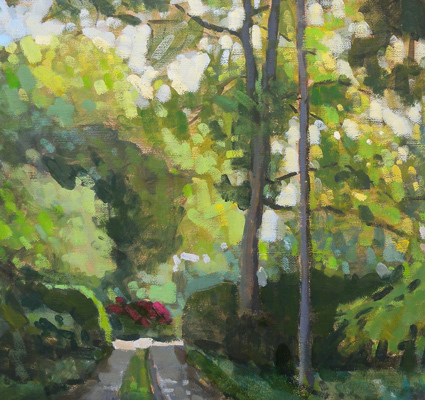 The second painting below is the driveway leading to the house. 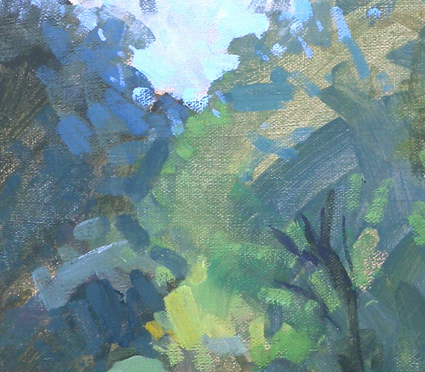 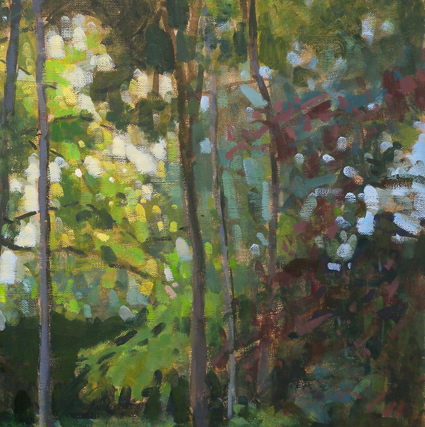 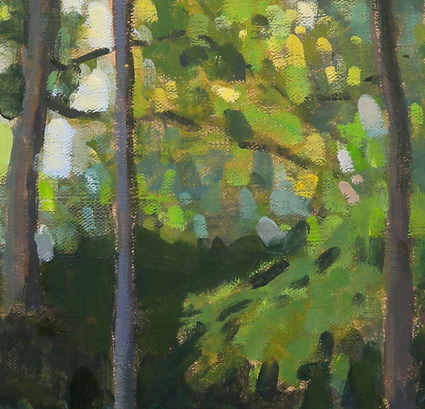 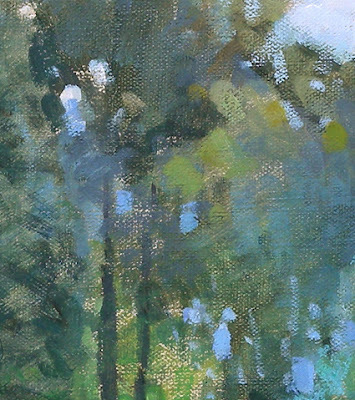 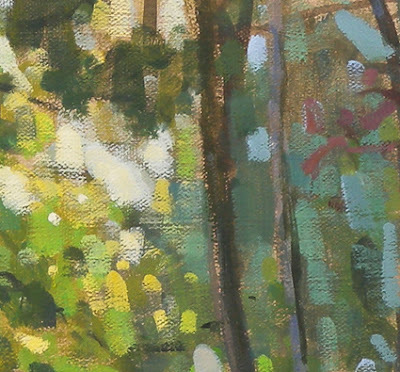 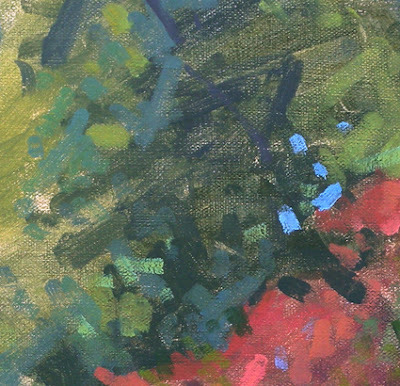 There was such a magical light piercing through the leaves which I tried to depict with impressionistic brushstrokes. 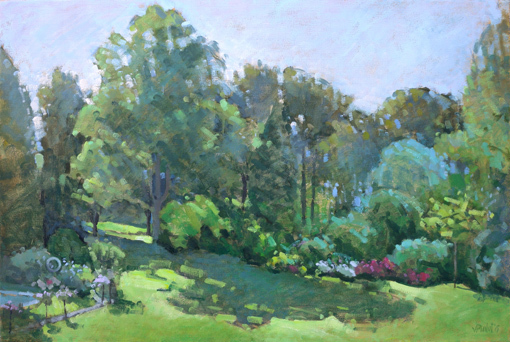 The third painting below is a view over the garden from the top floor window of the house. 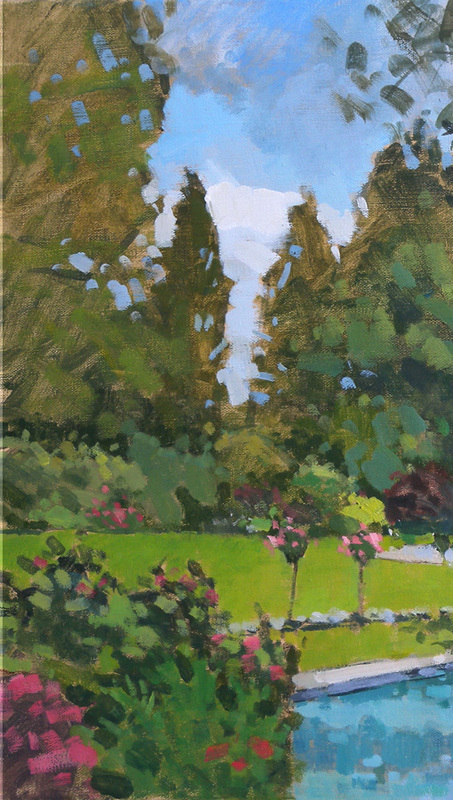 It gives an idea of the beauty and scale of the property. The challenge here was to treat all the different greens in a different way to show the various shades, textures and depths of the trees and flowers in the garden. 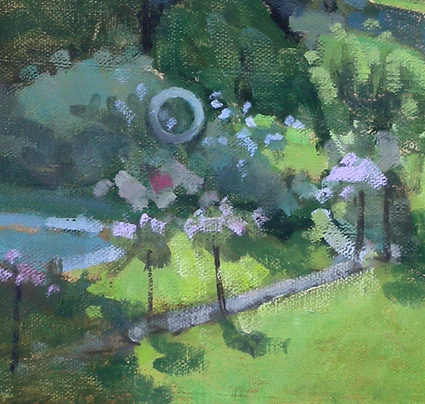 The one below is a cropped version of the painting of the house. 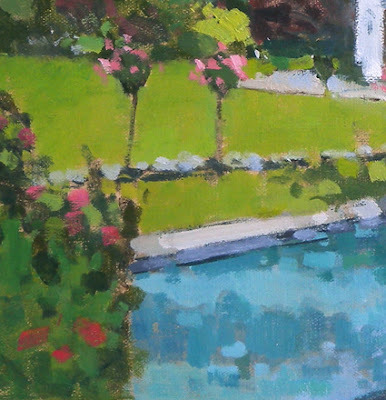 I removed the house for privacy purposes but wanted to show here the trees and swimming pool surrounding the building. 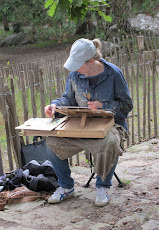 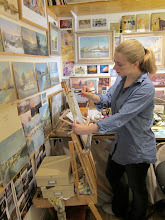 If you are interested in a commission of your house, garden, favourite room, favourite view etc..., you can contact me here or visit www.valeriepirlot.com/commissions for more info. I wish you all a merry Christmas and fantastic year 2016 full of creativity!